Great soup recipes are versatile and satisfying. 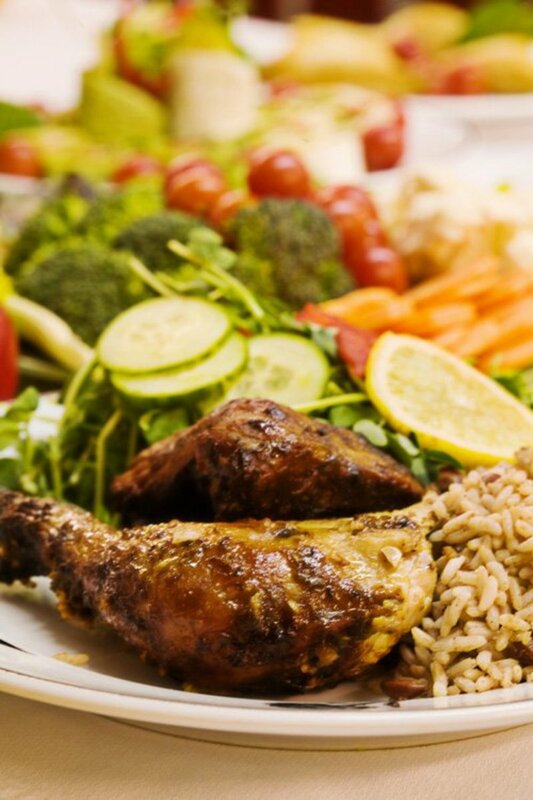 Caribbean recipes offer great options to add or substitute ingredients, making them easy to work with. 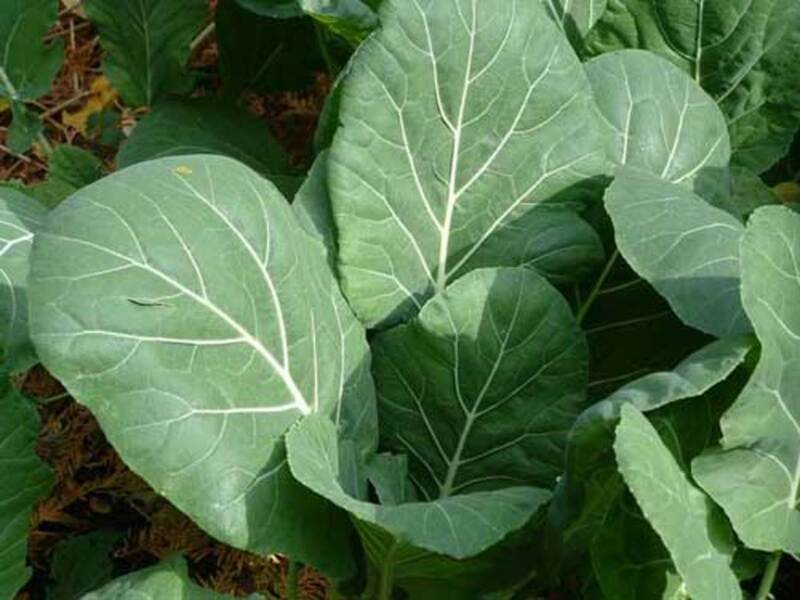 The favorite leafy green in the Caribbean is callaloo, a cross between spinach and collard greens. 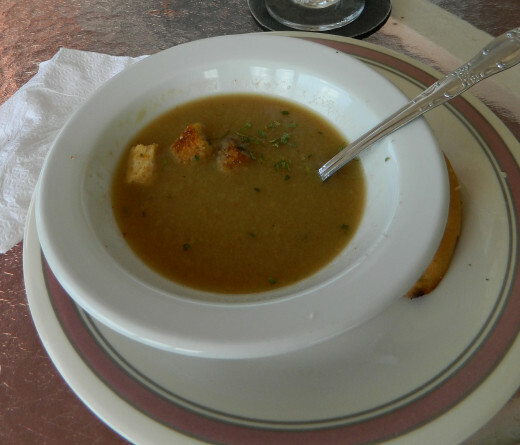 I have tested variations of callaloo soup, and I must say that they are all excellent, and left me wanting more. I have presented the original recipe here and added at the bottom of the recipe the way that I personally prepare this soup. I love a variety of flavors and follow a formula for creating the most interesting, and gourmet soup possible. In a large saucepan, heat the oil. Add the onion, garlic, and Scotch bonnet pepper and cook, stirring, for 4 minutes over medium heat. 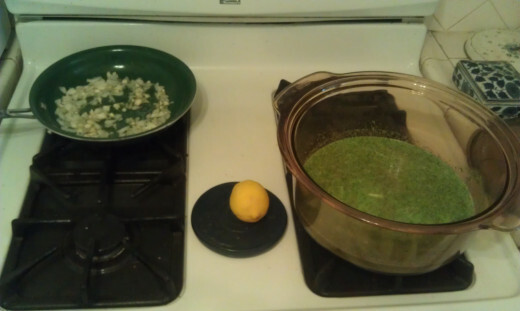 Add the spinach and cook, stirring, until wilted, about 2 minutes. Add 4 cups water, the potatoes, thyme, white pepper, salt, nutmeg and bring to a simmer. 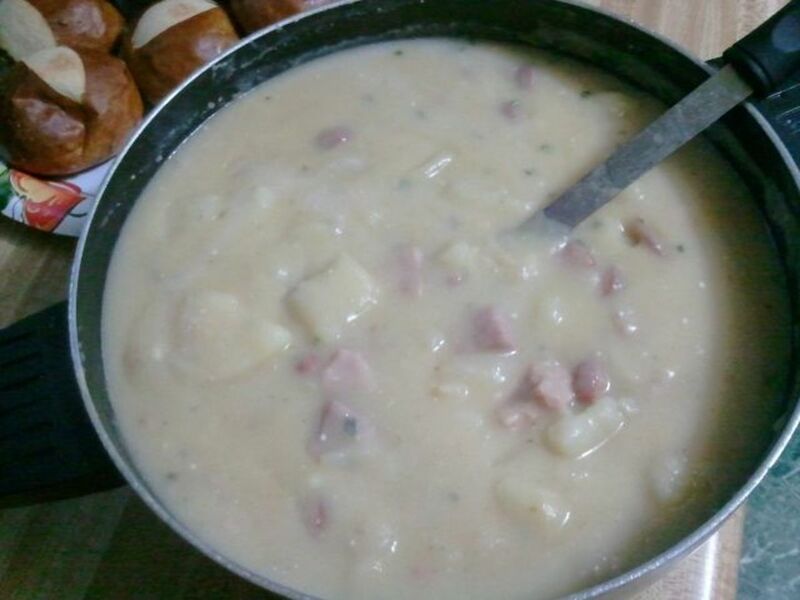 Cook until the potatoes are tender, about 20 minutes, stirring occasionally. Stir in the optional coconut milk and the parsley. Transfer the soup to a blender or food processor fitted with a steel blade and process until smooth, about 10 seconds. Ladle the bisque into bowls and serve at once. I just though I would share some of my tips to making soup recipes unforgettable. Add a teaspoon of chicken broth, a squeeze of lemon, and 1/2 of wine.vI always have red wine in the house but white wine, or any type of booze for that matter will do. 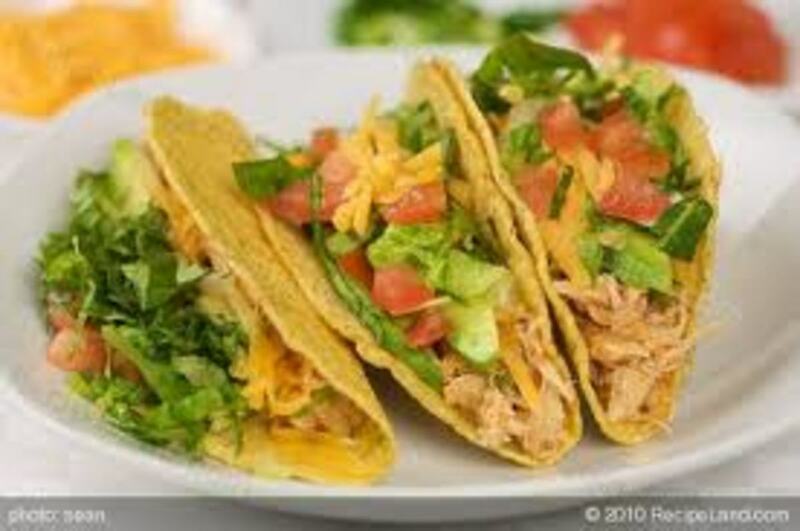 The rule of thumb for me is that if a soup seems flavorless, or needs to be kicked up a notch, I find something sweet, something spicy, something sour and then add some kind of booze. It works every time. One of my coworkers brought a soup to a pot luck and had not brought it out for the rest of the employees yet. She was standing in the break room with her soup looking disappointed, and saying that her soup would not be very good. She had followed a recipe and her soup tasted like vegetable water. I decided to help her out and we found some Tapatio hot sauce to add, and a packet of sugar for McDonald's, a piece of lemon to squeeze into the soup and a we managed to find a bottle of vodka in our bosses desk. We added about one whole cup of vodka, and it really dramatically brought the flavors together. Any soup will taste great if you follow this advice. 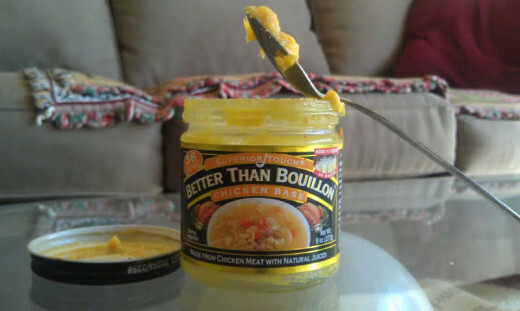 This is my favorite brand of chicken broth and I believe that adding approximately one teaspoon to just about any soup will liven up the flavor tremendously. In mid preparation the spinach and coconut milk are already in the soup pot and the onion is still being cooked in oil with the garlic. I squeeze the whole lemon into the soup. If it does not distinctly add a slightly sour flavor, I add a second lemon. 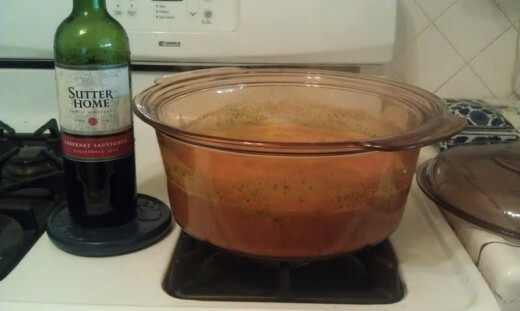 A beautiful Caribbean soup recipe will be fully rounded out by the addition of liquor. Beer, wine, or vodka are usually the best, but as long as its not a sweet alcoholic beverage it will blend the flavors together well. A real Boston Clam Chowder recipe. This is the best clam chowder you will ever eat. Of all the chowder recipes I have tried, this one is simply the best. Clams, Sour dough bread, just like in The Fisherman's Monterey California.